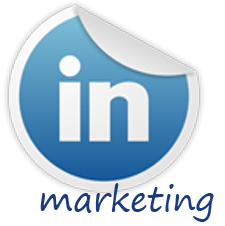 Social Media Marketing using LinkedIn is made easy by following five simple steps. LinkedIn is the perfect site to build your professional networks, keep in touch with connections, discover opportunities, develop relationships, build authority in your industry and also find leads and opportunities for you and your business. Keep it simple and check out these easy methods to getting started with LinkedIn. Go to http://www.linkedin.com and fill in your name, email and create a password and click the green join now button. Your LinkedIn profile is an important part of your social media marketing strategy. Upload a current, professional looking photo of yourself. You’ll want to complete your entire profile, and include previous work experience that you’ve had. Remember your profile is a representation of you. The little details are important to your profile; it should have substance, be grammatically correct and have no spelling errors. Include your chosen keywords liberally throughout your profile whenever you can so that others searching for those keywords can find you. Don’t forget your email addresses, new and old, to increase the opportunity for connections. A summary should give a good snap shot of who you are and what you do. Use two to four sentences in your summary that incorporate your specialties or expertise. These sentences should include your keywords and add what you enjoy doing to help others to connect and get to know you. Connecting with others on LinkedIn is controlled. In order to connect with someone on LinkedIn, you must show how you know them. Getting recommended by LinkedIn members who know you and what you are all about is a wonderful way to connect to with others. Joining LinkedIn groups gives you the opportunity to maximize your networking and social media marketing efforts while connecting you with great people with similar interests. Start by joining employer alumni groups, were you will have connections with people you have something in common with. And finally, enhance your LinkedIn social media marketing experience by participating and interacting with others through posting, responding to posts and networking with other group members. Social Media Marketing for business using Facebook can build relationships and provide value to those within your Facebook network. Facebook allows you to be real, get to know other people with similar interests while building credibility and trust. In this article, we’ll discuss five simple steps to getting started on Facebook. When creating the perfect Facebook profile for social media marketing there are several things to keep in mind; like posting a great recent picture of you with a smile. People want to put a face with a name and posting a picture that does not include the whole current you doesn’t build credibility. Choose a tagline that grabs the readers’ attention while it explains who you are and what you do. Complete your profile by filing in personal information such as hobbies, favorite music, and maybe your goals and aspirations. Including personal information helps others want to get to know you better because you may have similar personal or business interests. Remember to be real, when you are fake, people can see right through you. Connecting with others is the reason Facebook was created in the first place. To get started, import your address book or search Facebook for people you may know or have done business with. You can also connect with new friends by viewing the friend list of your connections, you may find others that you would like to get to know better. Unlike Twitter were you can follow anyone, Facebook requires a friend to accept your friend request. When sending a friend request, send a personalized message with your request. There’s nothing like someone you do not know requesting to be your friend and not even introducing themselves. Include who you are and why you want to get to know the person, your chances of getting accepted will be much higher. Once accepted, you can view your new friends profile and they can view yours. Start communicating with your friends by posting an interesting quote, asking a simple question or providing valuable information about your interests. You can post on a friends wall to say hello, give good wishes, or help friends find solutions to their business problems. Updating your status is similar to a wall post except it is where you post what you are up to, how your day is going and to encourage interaction between friends. This is how you develop and grow your credibility and contribute to your social media marketing. Friends will get to know and trust you. By contributing to the conversation and posting valuable information relevant to your niche or industry you will raise your trustworthiness and become a know expert. Joining and participating in Facebook Groups is a great way to expand your social media marketing and get in touch with others with similar interests. Simply type groups in the Facebook search and you will see a list that includes the groups that your friends belong to. You can also browse groups and sort them according to your interests. There are many groups to choose from and you can even start your own. Once you have joined a group, participate by adding to the conversation; this is the way you will make additional contacts. Don’t be shy, contribute to the conversation and introduce yourself. Looking forward to connecting with you on Facebook! Twitter Grader: How Accurate is it??? For those of you who are on Twitter right now you may have heard about the recent stir with @mattbacak and about his press release talking about his recent accomplishments on Twitter. With all the hoopla about Twitter Grader and how Matt Bacak was listed as a Twitter Elite, I decided to do some of my own testing to see just how accurate Twitter Grader can be. On my Twitter profile @UrviMehta when my location was listed at Detroit, MI and I graded my profile I was part of the Twitter Elite with a rank of 6 in Detroit, MI. However, when I changed my location to Detroit, Michigan (spelling our the entire state name) I am ranked #2 in Twitter Elite for Detroit, Michigan. Essentially Twitter Grader is more of a “fun” tool in its current ranking measure. Perhaps Twitter Grader should consider state abbreviations and full spellings of the state names as the same location. My point is that Detroit, MI and Detroit, Michigan is one in the same and should be one list instead of two separate lists depending on how you spell out your location.